Here are some links you may find interesting. If you discover any attractions not listed below and that you’d like to share with other Churchwood visitors, please let us know. While we have listed a few local pubs and cafés, they are not recommendations, just suggestions, as everyone’s views differ! The South West Coast Path is the longest of the country’s National Trails at 630 miles, or 1,105km. The South West Coast Path is one of the ‘family’ of National Trails and is well signposted and waymarked. 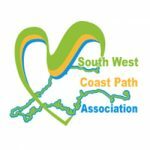 The South West Coastal Path Association website provides useful information about coastal path and the organisation itself. Dartmoor National Park covers some 368 square miles, making it the largest and wildest area of open country in Southern England. It has over 450 miles (730km) of public rights of way and lots of wonderful walking routes to suit all abilities. Dartmoor also boasts a variety of cycle routes, both on and off road, as well as offering great opportunities for climbing and canoeing. 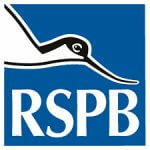 The Royal Society for the Protection of Birds (RSPB) website is a useful reference point for all the birds you’ll spot at Churchwood and you will see numerous species. A great game to play with the family who can spot the most varieties of feathered friends and then read up about them. 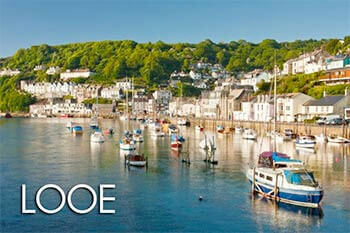 Other pretty towns in the area worth a visit include: Dartmouth, Salcombe, Padstow, Fowey and Tavistock. Dartmoor Zoo, subject of the Hollywood movie ‘We Bought A Zoo’ starring Matt Damon and Scarlett Johansson is set in 33 acres of beautiful woodland with stunning views of the surrounding countryside. 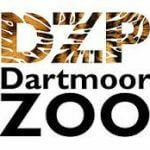 It’s a family owned zoo with a fantastic collection of animals including the widest variety of big cats in the south west of England. The Eden Project was built in a disused clay mine, transforming it into a rich, global garden where people can learn about nature and get inspiration about the world around them. Now a world-famous attraction, the Eden Project does a lot more than just offer a memorable day out in Cornwall… check out their website to see what else they do. A family run riding stables and livery yard right next to Churchwood, it offers riding throughout the year. 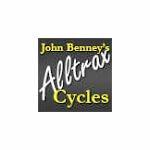 Alltrax has a fleet of mountain bikes for hire, individually or for group hire. Each bike is fully checked before it leaves the shop to ensure that your cycle-trip will go without a hitch. Riverford Farm Shops – proudly providing real, local and organic food. Tasty pies, pasties and tarts, deli delights, plus all you need to stock up your cupboards for your holiday. Come and experience the Pennywell magic at this multi award winning Farm Activity Park… the biggest in the South West. Miniature pig racing and you can buy your own! Woodlands Family Theme Park provides a whole day of variety for all ages. 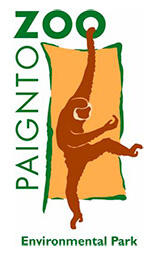 Incredible indoor centres, outdoor adventures, Zoo, Big Fun Farm, Falconry Centre and Wildlife Sanctuary. 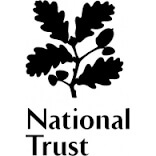 There’s a range of lovely National Trust properties to visit in the area including Saltram House, Cotehele, Antony House,Lanhydrock, Buckland Abbey and Castle Drogo. Details of all these properties can be found on the website. An award-winning World Heritage site, featuring historic port, copper mine, working Victorian farm, railway, heavy horses and museums of costume and mining. About 20 miles away. Mount Edgcumbe House was first built in the 1500s and was restored after World War Two. It is jointly owned byCornwall Council and Plymouth City Council and is one of the regions most popular historic tourist destinations and hosts regular events. The twin towns of East and West Looe face each other across a river and are joined by a bridge with seven arches dating from the early 19th century. With narrow streets and a medieval guildhall, now a delightful museum, and the second largest fishing fleet in Cornwall Looe is also host to the Shark Angling Club of Great Britain. There’s something for everyone in Devon museums and galleries, from steam trains to shipwrecks, farming to factories, boats to battles and local history to lace. This website list the many fascinating museums in the area. 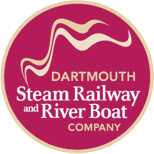 By steam train, boat and bus – great excursions, river cruises to many Devon locations and wonderful summer Jazz events. 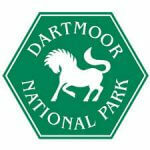 The Dartmoor Railway runs from Mid-Devon to the edge of Dartmoor, providing car free access to the Dartmoor National Park for walkers and cyclists. 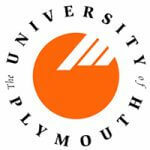 Plymouth University’s mission is to be ‘the enterprise university’, Plymouth is a dynamic and innovative place to work and study, transforming lives through education, world-class research and innovation on a global stage. Plymouth College of Art – the next generation of thinkers and makers, redefining what you can expect from a modern art college. Passionate about all forms of art and design – from traditional crafts to digital media – we’re a place to invent, experiment, and try things you’ve never tried before. 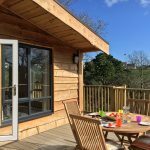 A substantial, character village Inn, situated in the beautiful South Hams area of Devon close to Wembury beach – it’s the nearest pub to Churchwood Valley. 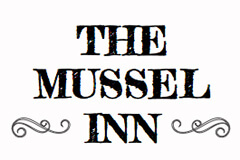 The Mussel Inn, near Down Thomas, is steeped in local history with stories of rum running and contraband! “The Eddy” Freehouse is located in the quiet coastal village of Heybrook Bay, just along the coast from Churchwood, towards Plymouth. The TripAdvisor page has the latest reviews. The Dolphin Inn, Newton Ferrers is a free house overlooking the beautiful Newton Creek, boasting wonderful views and a seasonal, local menu. Great reviews about the food, service and cider! Everything you’d expect from a South Hams village inn – twisting passages and hidden corners, low ceilings and old beams, log fires, good beer, wines and food and a relaxed and informal atmosphere. A delightful, traditional waterside pub where you can enjoy local beers and fresh, home made food. The Ship Inn’s location makes it a great walking destination and a yachtsman’s port of call. Have a drink, sail or sit back, relax and enjoy the views and friendly hospitality. Just across the road from Churchwood is Langdon Court, an historic listed grade 2* manor house dating from the 16th Century. Now a luxury boutique hotel and restaurant, the Hotel is set within its own grounds and formal gardens.